Freedom Park has a spirit all its own. When I take a walk, I’m never by myself. A flow of memories gives me lots of company. One of the prettiest walks in Charlotte is through Freedom Park. It was birthed in 1949 as a tribute to those who fought and won our freedom in WWII. 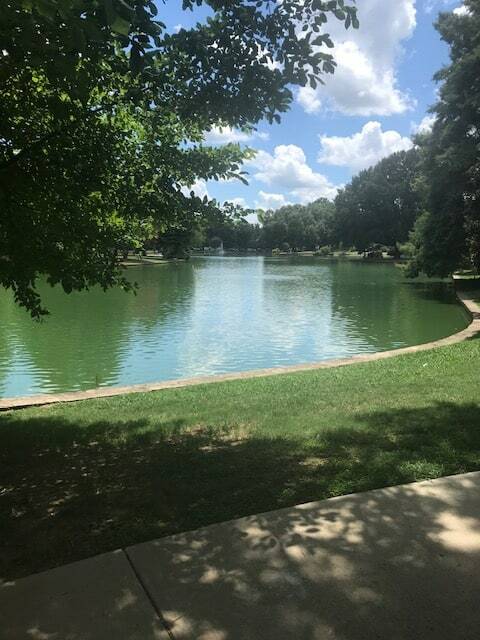 There is a beautiful lake in the center of the park that provides serenity for those seeking it. Every September, it becomes the home of “Festival in the Park” for a 4 day weekend. Artists and crafts people exhibit their talent to the thousands that come to visit. The man who should get a high 5 for its success is Grant Whitney, who promoted it for decades. He really became the “Godfather” of Freedom Park. A few years after we arrived in Charlotte, my wife, Lucille, became active in the art community. Her acrylic entry, “Charleston Flower Ladies,” won Best in Show in the 1974 festival. She entered every year from then on. 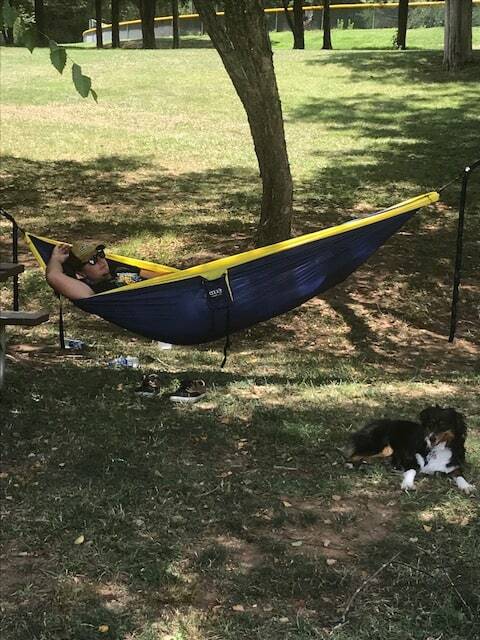 This guy needed two trees to find his comfort in a hammock with his dog.